It’s that time of the year … FOOTBALL SEASON!!!! And what goes great with football???? Why BEER of course. To quote someone in the news this week, “I like beer!”. “I like beer a lot!” And now .. I have a new FAVORITE beer! It’s called Bomb!, and it’s from Prairie Artisan Ales out of Oklahoma. This stout is so dang good. With the alcohol at 13%, it sure packs a punch too! In the glass, the color is dark black with an auburn colored head. There is lots of chocolate and coffee bean on the nose. On the palate is a delightful mocha flavor with vanilla, some baking spices and an absolutely delightful hint of mild chili pepper on the finish. You would never know that the ABV is so high, as it’s not hot at all and doesn’t’ have that strong alcohol flavor on the palate that some high ABV beers do. I literally can’t get enough of this beer. So … I went to my local Lucky Market to stock up on some more, and they were out! What???? 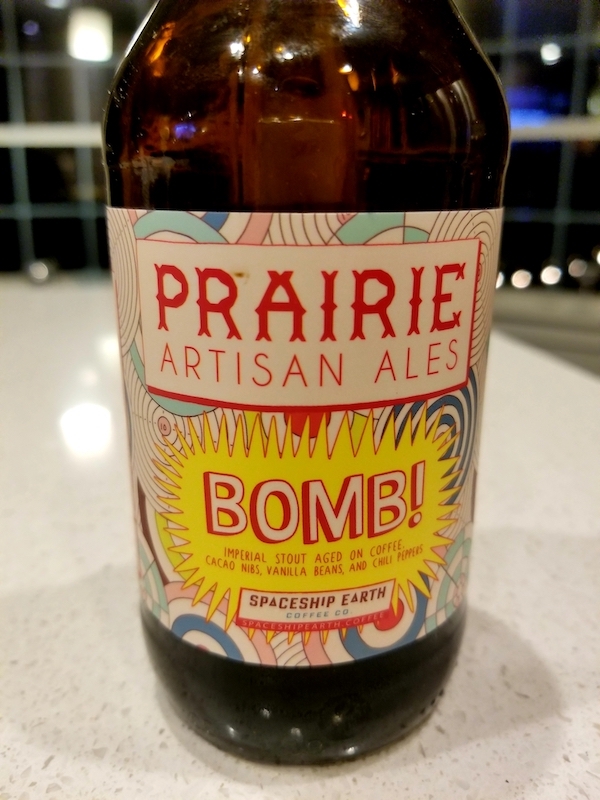 They did, however, have some Prairie Artisan Ales Paradise Stout, so I bought them out. 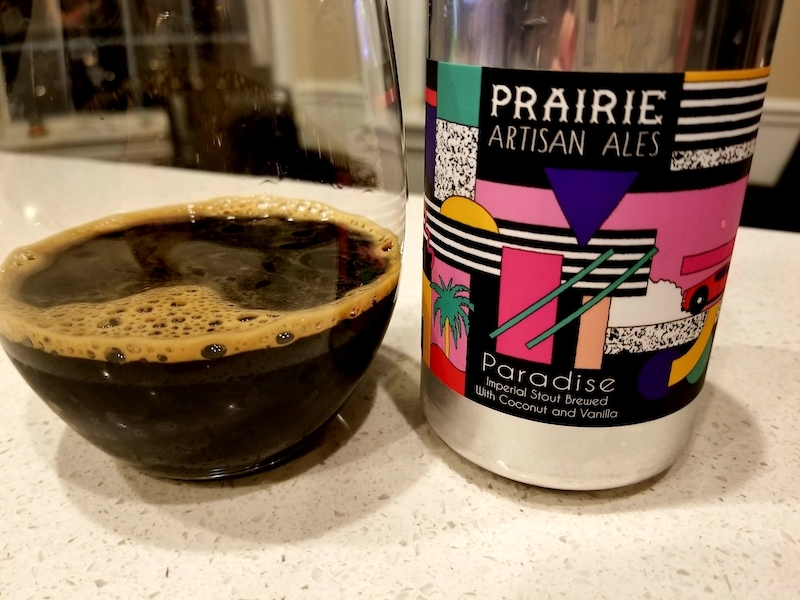 Wow, Paradise is a great stout too! This also pours dark black and tastes of espresso, with some chocolate and nuttiness. This beer is brewed with coconut and vanilla. There is definitely a hint of each, but it’s not too much. This is a very well-balanced stout and a delight to drink! While my favorite is still the Bomb!, I love the Paradise too. And you’d better believe that I’ll be seeking out all of the beers that Prairie Artisan Ales produce. The next time I’m driving through Oklahoma, I’ll be stopping in for a visit!!!! !